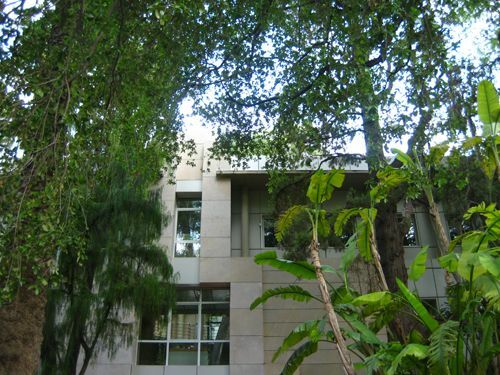 The architects Carlos Bento and Luis Gay were commissioned to design the research building in 1987. This building was essential to serve research, dissemination and educational needs, thereby enhancing the social and cultural impact of El Botànic. 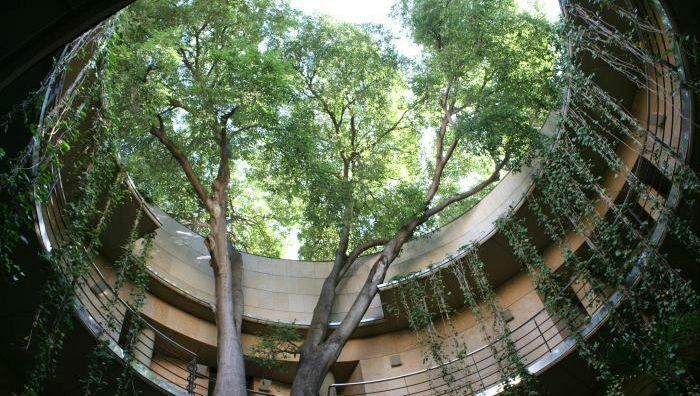 The building faces Calle Quart on the southern edge of the Garden, and covers some 1.200 sq m2. 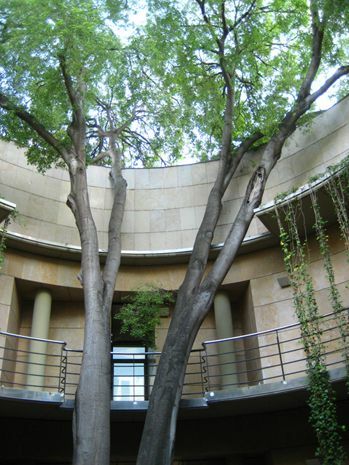 At the Garden entrance stands a hackberry tree, over 70 years old, which towers over the circular courtyard of the central building in which it grows. 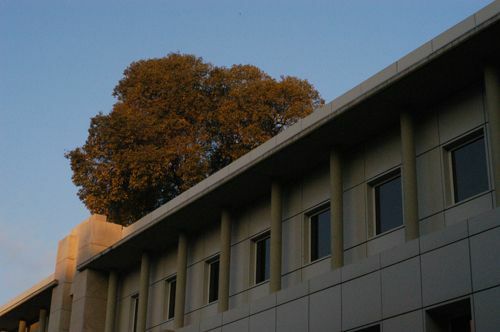 The upper floors of the new building are assigned to research and study; they house the laboratories, the herbarium, the library, the germplasm bank; as well as the Administration Department, the Culture and Communication Unit. Both the outer-facing walls and the central courtyard are of Ulldecona limestone, cast concrete and lacquered aluminium panels, building materials that make the Garden entrance fit in with its classical urban surroundings.